This is a basic front wheel mini motor kit compatible with power options ranging from 200 Watts to 350 Watts . 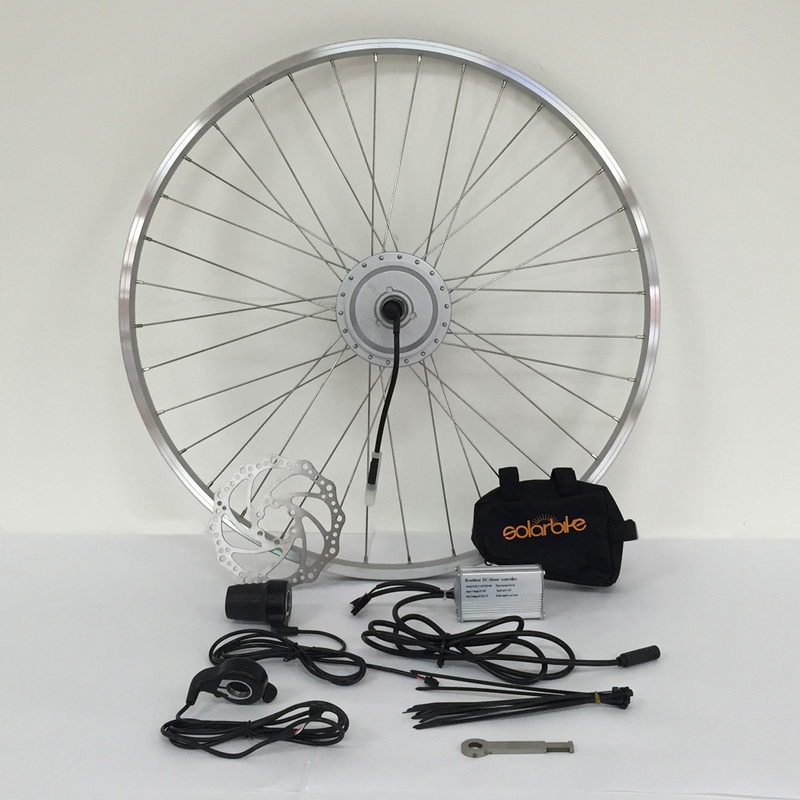 The kit includes motor laced into ALEX rim with stainless steel spokes, motor, controller, twist grip throttle, thumb grip throttle, torque bar, cable ties, disc, inner tube and instruction manual. All kits are disc compatible and require a 36V battery. 200W is the legal limit for riding on the road. Range and Speed: 28-32km/h. Range depends on battery used. Information: Kit includes motor laced into ALEX DH18 rim with stainless steel spokes, motor, controller, twist grip throttle, thumb grip throttle, torque bar, cable ties, disc, inner tube and instruction manual. All kits are disc compatible and require a 36V battery. 200W is the legal limit for riding on the road.